I have a tendency to make travel plans on my own, not because I don’t want the company of others—I do! But in my experience, it’s difficult to find friends who can take time off work, who have similar traveling styles and budgets, and who won’t drive me insane (and vice versa) after weeks of crowded vans, small sleeping quarters and situations that don’t lend themselves to ample personal space. 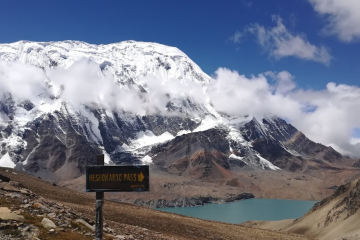 When I was planning my trek in Nepal, however, the need for company seemed more like a mandatory safety precaution than a nicety. 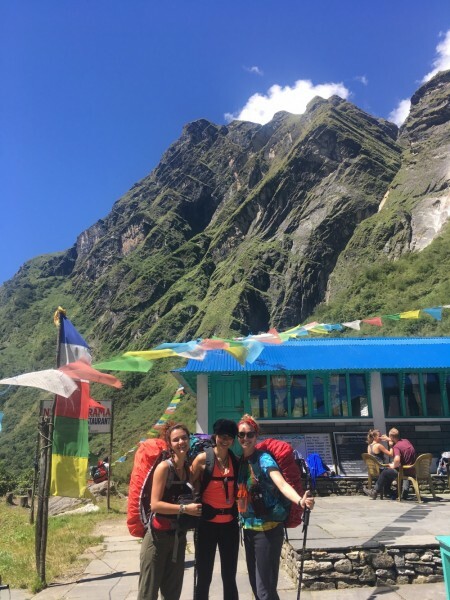 Sure, I had the help of local guides, but I wondered, as a solo female traveler, how different my experience would be without the company of other trekkers. Luckily, due to great recommendations and a proclivity for deep conversations with strangers, I was able to meet many people along the trail. What began as a trip riddled with unknowns became one of the most memorable experiences of my life. Here’s what I learned about making friends on the trail. After a certain point on the Annapurna Base Camp route, there’s only one way in and one way out. This means I ran into many of the same people over and over. Some trekkers were quick and liked to get the bulk of the day’s distance done in the morning, so I’d see them at breakfast and again at dinner. Others were closer to my pace and we’d pass each other several times throughout the day depending on when we stopped to refuel and find a bathroom. 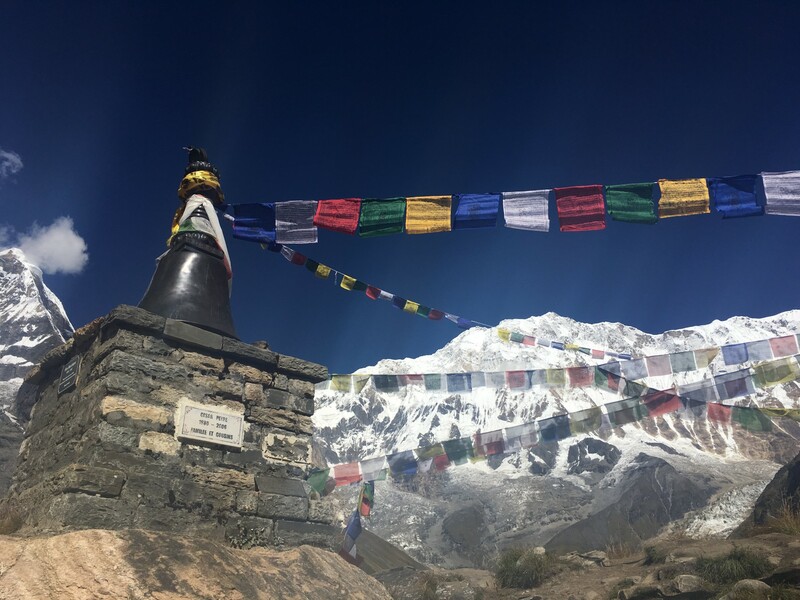 In several instances, a familiar smile turned into a greeting, which turned into full conversations and exchanging information to meet up after the trek. After the first night in a guesthouse, I learned how easy it was strike up conversation with other solo trekkers. Although some people traveled in large groups, there were many other solo travelers who, like me, were looking for people to chat with over bottomless dal bhat. I met people from Canada, Germany, the Netherlands, Australia, and spent a lot of time talking with guesthouse owners and guides from other groups. After a much needed rest day in Jinhu Danda, I took a slow morning at the guesthouse and talked with two German women over breakfast. The three of us connected instantly and decided to trek the rest of the way to Base Camp together. Over the next week, we shared meals and rooms (much cheaper than on your own), exchanged vitamins and herbs to keep us healthy on the trail, and bonded deeply through long days in the mountains. We talked about our lives back home, our aspirations for the future and the challenges that we face. Despite having been raised on different continents, we were incredibly similar and able to relate to each other’s experiences seamlessly. As we clamored down from Base Camp, I began to notice how many more people approached me for information. How long to Himalaya? Where’s the nearest guesthouse? Is there hot water in Deurali? 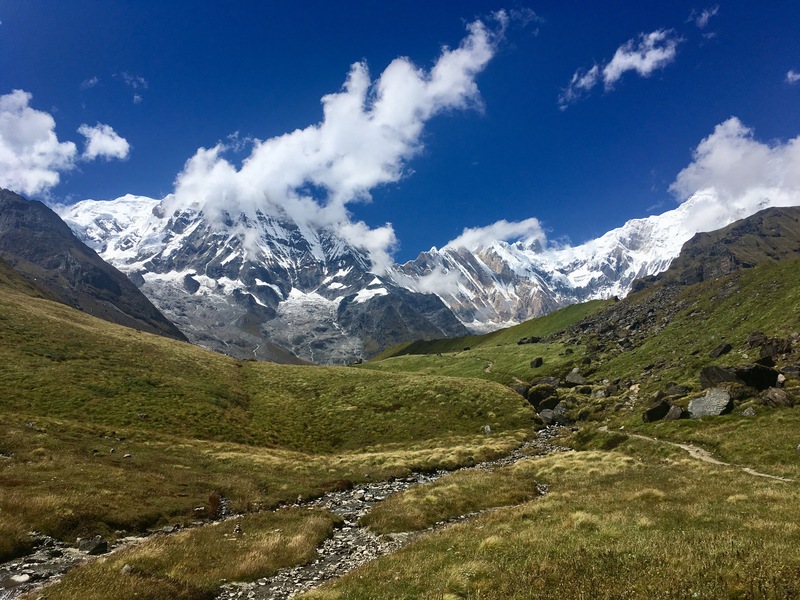 If you’re descending the mountain, it means you’ve been there and done that—and many trekkers are seeking advice on what to expect. I stayed open to chatting and tried to give realistic estimates on distance and time, recognizing the exhaustion in the faces looking back at me—a feeling I was intimately familiar with. 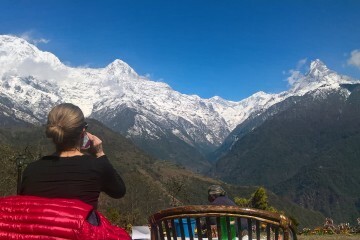 The connections I made in two short weeks on the Annapurna trail were soulful and real. Sure, we returned to our respective nations, but the bond we share and the experiences we had will always be alive within us. 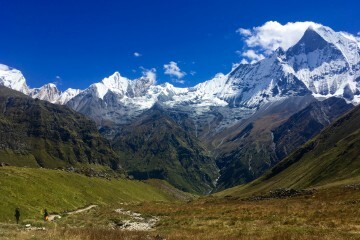 I can’t wait for the next trek and with it, another handful of high-altitude friends.